When we talk about renewable energy, it is easy to get bogged down by the massive undertaking of replacing or switching over from our existing infrastructure. To do this is to forget that key demographics for solar innovation and investment include places where that electrical infrastructure is yet to be built. In places like rural India and Sub-Saharan Africa, grid access remains a luxury. For communities such as these, interest in the development of renewable energy infrastructure is not founded simply in the conservation of resources or the protection of the environment, though those goals are also achieved by solar. In remote places where central grid operators cannot fiscally justify building out their network, locally maintained microgrids offer the most practical way of bringing energy to the millions of households that lack access to any kind of power grid. Such places represent a blank slate which has not yet become entrenched in the carbon-intensive modes of generation from which we must now attempt to divorce the ‘developed’ nations of the world. 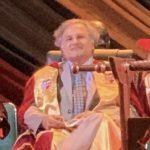 Earlier this month, Power2Peer founder and CEO Dr. Nish Sonwalkar traveled to Uganda to deliver the commencement address for the graduating class of 2018 at the International University of East Africa. Dr. Sonwalkar encouraged graduates to continue to hone their skills throughout their careers, emphasizing the importance of creativity in solving the problems we face. During his visit, the Power2Peer CEO observed that he could travel just 10 miles from the city center of Kampala to find communities with little or no electric supply. Dr. Sonwalkar has expressed a commitment to implementing Power2Peer’s innovative solar microgrid platform in underserved parts of the world like Uganda. In Uganda, there are nearly 7 million households without power, representing a grid access rate of 19%. Neither do urban dwellers fare much better, with a grid access rate of 23%. According to USAID’s Power Africa initiative, one of the biggest problems facing the country is a lack of integrated power sector planning. Like other African nations, Uganda is composed of disparate tribal communities spread throughout 12 culturally distinct regions. What’s needed then, beyond investment, is a decentralized solution. Solar microgrids connect communities to locally generated sources of power without depending on the infrastructure of a centralized grid. Smaller grids are more resilient and more manageable than centralized grids, which are more susceptible to failures. Moreover, as stated above, grid coverage simply does not extend to the majority of the population. Given the diffuse demography of a place like Uganda then, it makes more sense to build electrical generation infrastructure from the ground up. Smaller solar arrays can be linked together to maximize efficiency and provide more power. Minor networks can be connected to each other and with newer installations as they come online to form larger, more robust networks. By utilizing the freely available power of sun and wind, microgrids offer communities the opportunity to build reliable power sources and enhance their quality of life. Power2Peer is currently engaged in an equity crowdfunding campaign with StartEngine. Invest today and secure yourself a stake in the future of renewable energy. By supporting Power2Peer, you not only acquire the prospect of future dividends, but the prospect of a more sustainable and equitable world. 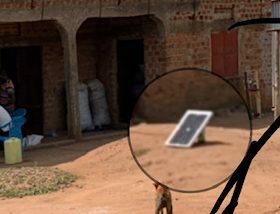 As we endeavor to bring remote communities online with Power2Peer’s solar microgrid initiative, your investment will directly impact the ability of small communities to build reliable power sources for the first time with zero carbon byproduct. Learn more about our campaign and invest today!